The South coast Iceland private tour takes you along the south coast of Iceland, besides the dramatic landscape of Eyjafjöll mountains. It was here that the famous Eyjafjallajökull volcano erupted in 2010, spreading dramatic clouds of ash. 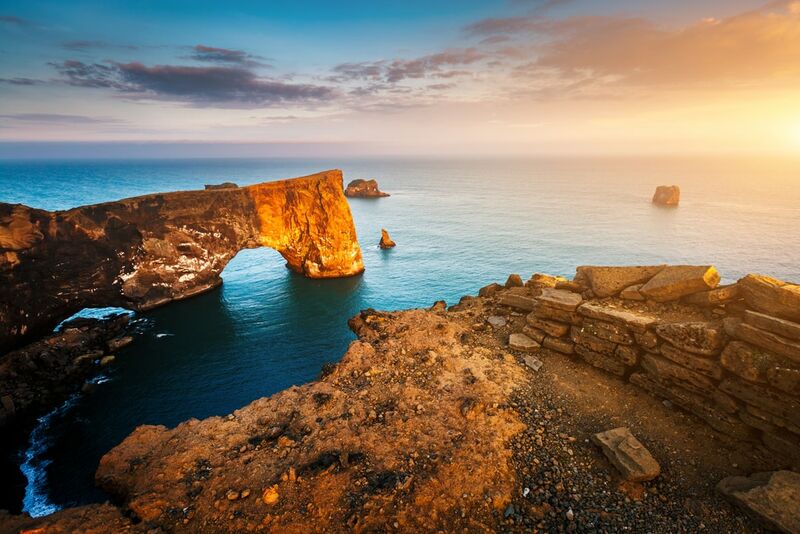 The south coast of Iceland is an indispensable part of any true traveler’s itinerary. The south coast features beautiful waterfalls, extraordinary vistas, majestic glaciers and also – a glimpse of a volcano. On our South Coast private tour, you will see three waterfalls: the Seljalandsfoss waterfall a waterfall that you can walk behind. 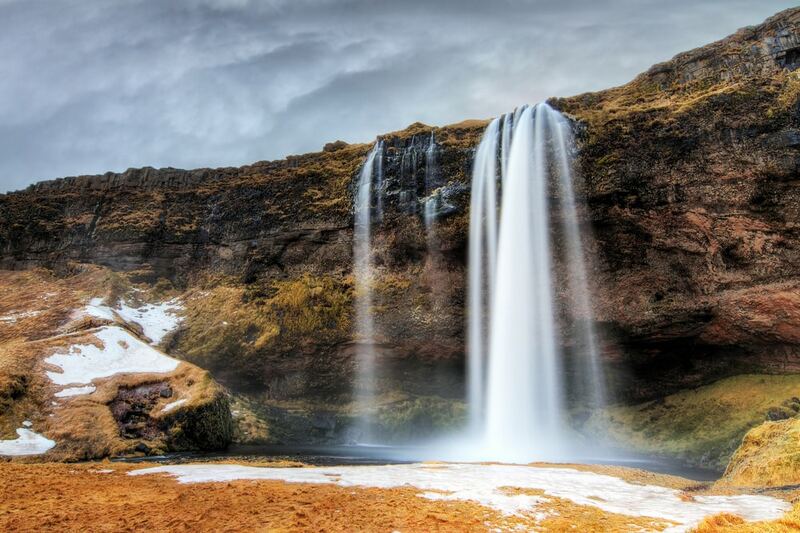 the so-called “secret waterfall”, Gljúfrabúi – a photogenic waterfall tucked away in a little cave; and the Skógafoss waterfall, which was featured in the film Thor: The Dark World (it was also featured on Walter Mitty – but Walter Mitty is no Thor). In the right conditions, we will visit what we think is the most beautiful waterfall on the south coast that not many people know about. 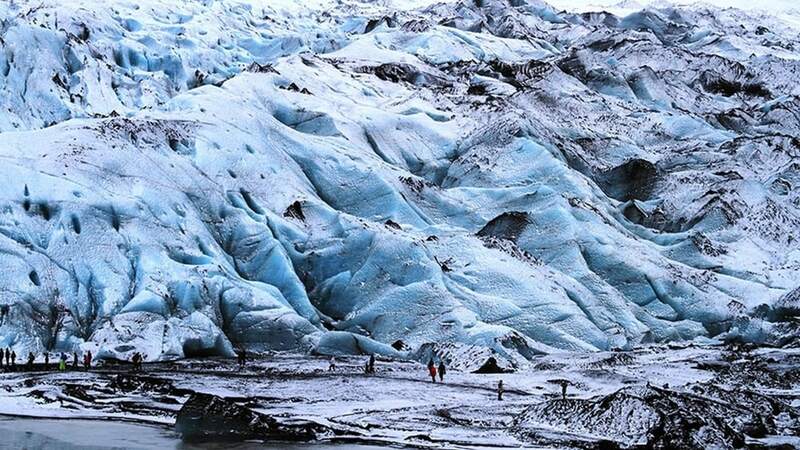 Our tour will also take us by that infamous volcano with the unpronounceable name: Ey-Ja-Fjall-A-Jök-Ull, Eyjafjallajökull, which made a mess of European air traffic in 2010, along with Dyrhólaey, a promontory not far from the village Vík. At Dyrhólaey you will be afforded an extraordinary view in all directions: Mýrdalsjökull glacier to the north; the lava sea stacks Reynisdrangar to the east; the neverending black sand beach to the west; and to the south – a sizable black arch of lava stretching out towards the sea. 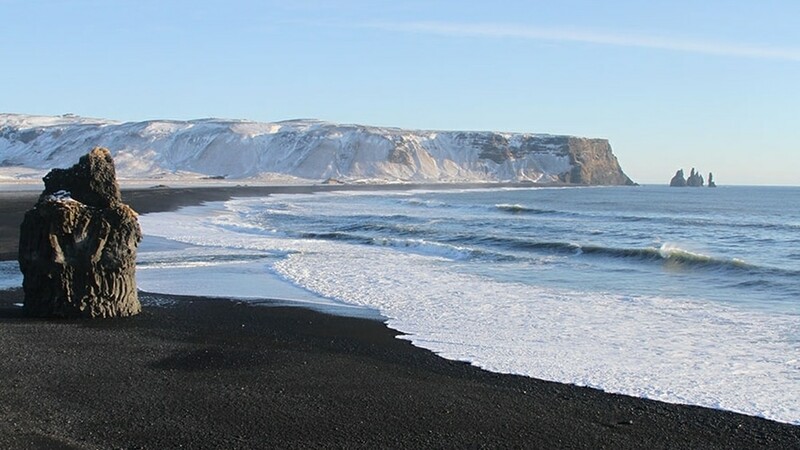 Next stop is at the black sand beach Reynisfjara, which is commonly described by visitors as “mystical”. 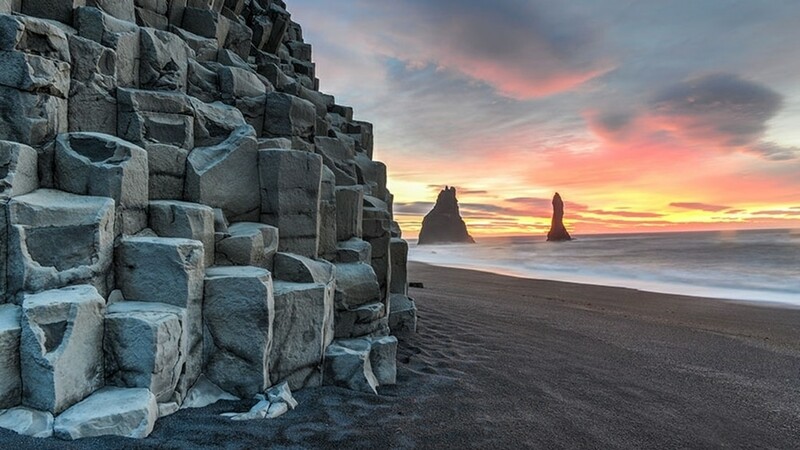 It is an apt description; standing on the black pebble beach, surrounded by basalt rock columns (the ones that inspired the architecture of the Hallgrímskirkja church) one feels a strange spiritual connection to the cosmos. If you come with us along Iceland south coast we will guide you through all of these wonderful experiences and more. During the tour, we stop for lunch at a local restaurant. Join us on this South Coast Iceland private tour and have personal service in a small group. This is a day you will never forget. On our private tours, we take from 1-7 people for a fixed price, hence more people better price pr. person.